We recently partnered with HeinStirred (Hein van Tonder) to get a few fresh Lunchbox Resolutions ideas, featuring the range of Rugani Juices. It’s back to work and school for most of us and what to take for lunch is back on the agenda. And after the festive season, keeping it a bit healthier will be top of mind for most of us as we start the year. 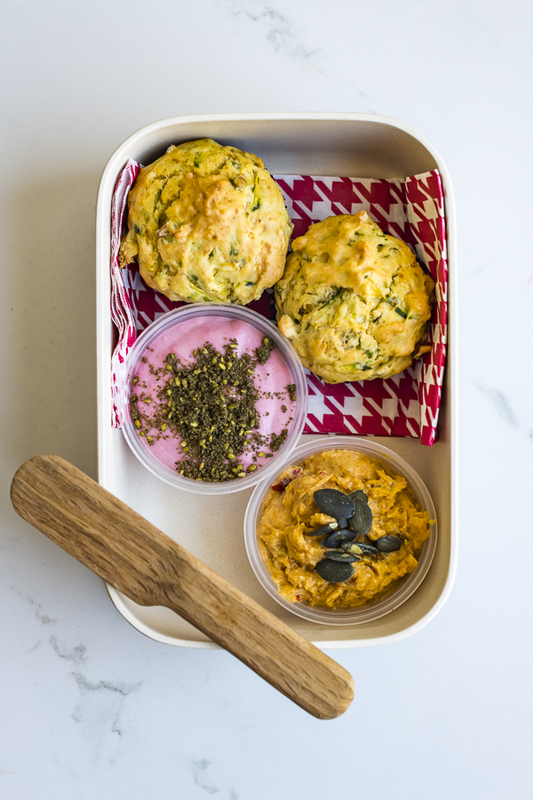 The idea behind this recipe was to create a lunch box meal that is nutritious and interesting yet still easy and uncomplicated. And by using the Rugani Juice range I think this recipe for Baby Marrow Muffins with Roasted Pumpkin and Chèvre Spread ticks all those boxes.